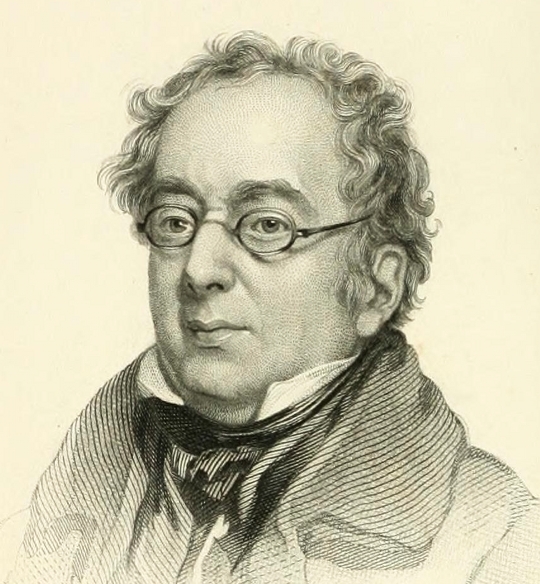 Marvin Spevack introduces the Curiosities of Literature, the epic cornucopia of essays on all things literary by Isaac D’Israeli: a scholar, man of letters and father of British Prime Minister Benjamin Disraeli. D’Israeli as he appears in the frontispiece to Vol.I of the 1880 Armstrong and Son edition of Curiosities of Literature – Source. What may be most curious about Isaac D’Israeli’s Curiosities of Literature is the title itself. For D’Israeli curiosity was a blend of the original denotation, “investigation … characterized by special care,” and that of his own day, “inquisitive, desirous of information,” as in his reference to the grammar in Johnson’s Dictionary as being “curiously illustrated by the notes and researches of modern editors” and his regarding his friend Francis Douce’s library as being “curious”. Suitably for D’Israeli, the man of letters, literature meant even more than just “literature generally, the humanities”; it meant knowledge in the widest sense, without formality and restriction. Top: Frontispiece to Vol.I of Disraeli’s Amenities of Literature showing the Bodleian Library in Oxford – Source. 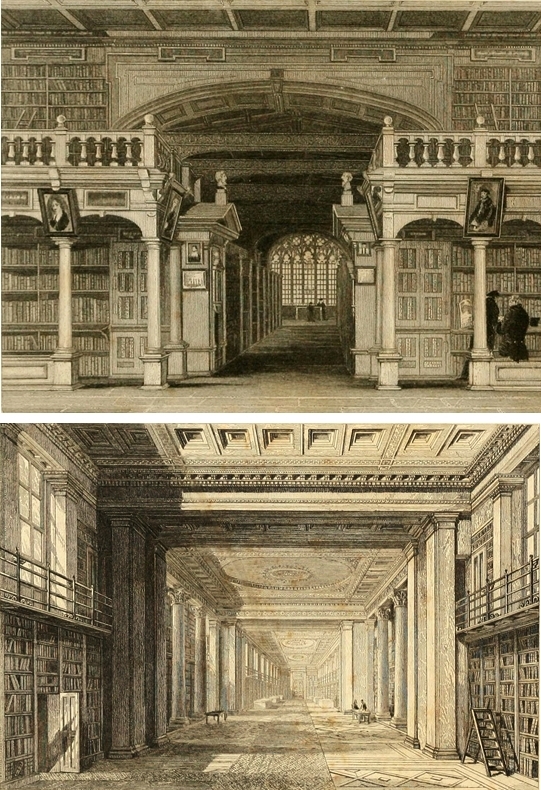 Bottom: Frontispiece to Vol.II of Amenities of Literature showing King’s Library in the British Museum – Source. In a preface dated March 1839 D’Israeli described his ever-evolving work as a “voluminous miscellany, composed at various periods … a circuit of multifarious knowledge [which] could not be traced were we to measure and count each step by some clinical pedometer.” It would, however, be a misjudgment to regard the miscellany as a jungle of whimsical impressions or fanciful thoughts. Rather, it is a man-made woodland landscaped, cultivated, and manicured by an urban if not urbane gentleman. D’Israeli derived most of his knowledge from books – the first essay is on “Libraries” – for he himself was unabashedly bookish and bibliophilic. But in the range and variety of its topics D’Israeli’s curious world was not hermetically sealed off from the world outside the library, else it would never have had so widespread a popularity over so long a period. If Curiosities of Literature did not directly reflect contemporary social, political, and literary matters, or rely on current gossip or scandal, it did in any case deal with them as recognizable features and phenomena of human existence in recurring clusters unrestricted by time or place. As might be expected, the most prominent is that of literary personalities, productions, and attendant concerns. Of the numerous authors who are subjects of individual essays, although they are drawn from Roman times to the eighteenth century, none are contemporaries of D’Israeli and no particular genre is dominant. English authors receive their due share: Milton, Pope, Dr. Johnson, Ben Jonson, Shenstone, Prior, Spenser, Shakespeare, Butler, Richardson. But continental authors may receive even more individual attention. The French are well represented by Saint-Evremond, La Rochefoucault, Bayle, Scarron, Madeleine and Georges Scudéry, Corneille, among others; the Italians by Vida, Ariosto, Tasso, Dante, Politian. In addition, there are essays dealing with Martial, Cervantes, Aristotle, Plato, and Cicero. As may be inferred from these names and others, D’Israeli gives relatively much attention to what might be called marginal literary figures, many of whom are lesser known humanists, scholars, bibliophiles, bibliographers, antiquaries, men of letters, editors, or philosophers, such as Grotius, Magliabechi, Anthony à Wood, Marolles, Annius of Viterbo, Bodley, Camden, Costar, Fabroni, Hearne, Leland, Naudé, Bentley, Lenglet du Fresnoy, George Steevens, and Oldys. 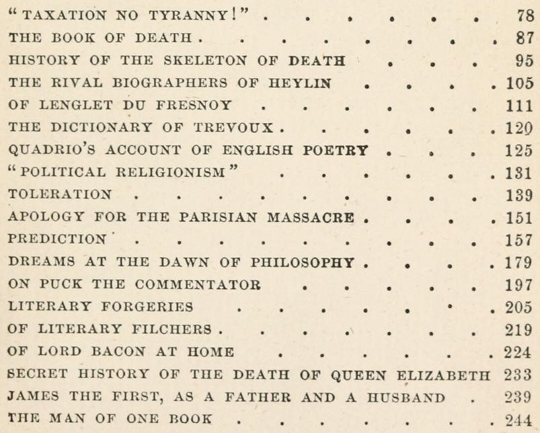 Detail from the contents page of Vol.IV of the 1881 Crowell edition of Curiosities of Literature – Source. Along similar lines of extension is D’Israeli’s consideration of institutions and families deriving from or in the service of literature, such as “A Glance into the French Academy,” “An English Academy of Literature,” “The Port-Royal Society,” “The History of the Caracci,” as well as his inclination to give more detailed attention to clusters and genres than to single works, such as the essays “Spanish Poetry,” “Romances,” “The Early Drama,” “Poetical Imitations and Similarities,” “Extemporal Comedies,” “Diaries,” “Songs of the Trades,” “Parodies,” “Masques,” among others. While although countless works are cited, only relatively few are found in titles as subjects in themselves: among them “The Turkish Spy,” “Love and Folly,” “The Lover’s Heart,” “The Talmud,” and “Robinson Crusoe.” D’Israeli did not even neglect the fundamentals of such products of literature, as evident in such essays as “Origin of the Materials of Writing,” “Autographs,” “Minute Writing,” “Numerical Figures,” and “Literary Composition”; nor the features and mechanics of their production and dissemination, as in his essays “Early Printing” and “A Secret History of Authors Who Have Ruined Their Booksellers”. He was also interested in the elements of books, as in “Titles of Books,” “Dedications,” “Prefaces,” “Quotations,” “Indexes,” and “Errata,” as well as some of their concomitant practitioners and practices, as in “Patrons,” “Bibliomania,” “Abridgers,” “Imitators,” “Professors of Plagiarism and Obscurity,” “Of Literary Filchers,” “Literary Forgeries,” “Literary Impostures,” “Critics,” “Destruction of Books,” and “Licensers of the Press”. Depiction, ca. 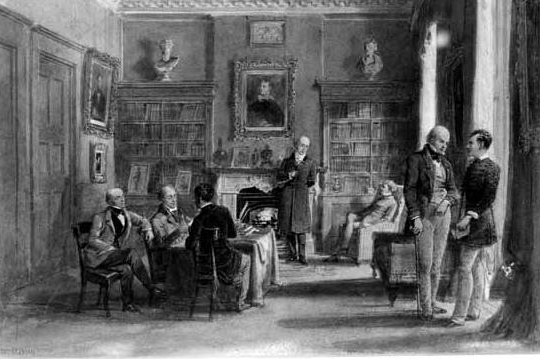 1850, by L. Werner, of an 1815 meeting between D’Israeli, John Murray II, Sir John Barrow, George Canning, J.W. Croker, Sir Walter Scott and Lord Byron – Source. and even “Of a History of Events Which Have Not Happened”. A further dimension takes the form of a kind of wide-ranging cultural sociology which concentrates on manners and materials. “Feudal Customs,” “Spanish Etiquette,” “Female Beauty and Ornaments,” “The History of Gloves,” “Medical Music,” “Virginity,”“Modes of Salutation and Amicable Ceremonies in Various Nations,” “Fire and the Origin of Fireworks,” “Anecdotes of European Manners,” “On the Custom of Kissing Hands,” “Ancient Cookery and Cooks,” “Ancient and Modern Saturnalia,” “Drinking Customs in England,” “Introduction of Tea, Coffee, and Chocolate,” and “Psalm-Singing”. Socio-psychological touches are to be found in “Solitude,” “Anecdotes of Abstraction of Mind,” and “Cause and Pretext”. The sheer sweep of subjects may be bewildering, their arrangement somewhat scattered. Still, there can be little doubt that there is something for every one in this tastefully conceived and cultivated library in miniature. And beyond the pleasure and information of this essay or the other is the panoramic view of a charmingly curious cultural landscape. Other works by Isaac D’israeli housed at the Internet Archive can be found here.